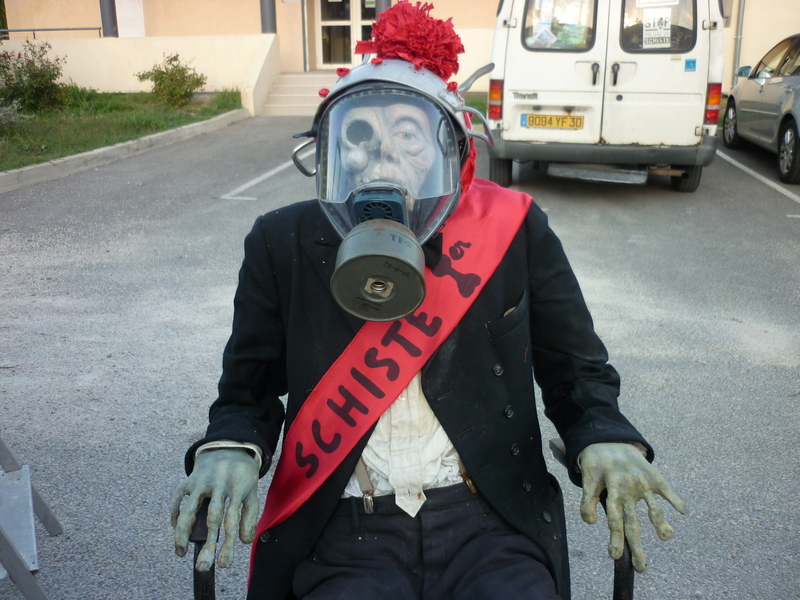 In France, thousands of people marked Global Frackdown Day, holding protest actions and debates throughout the country. Anti-shale gas activists called on the government to take a harder line on shale gas, and to ensure that no exploration work will be carried out. Militants want the immediate abrogation of all licences and the rejection of all requests for permits that could enable multinationals to exploit shale gas and oil. 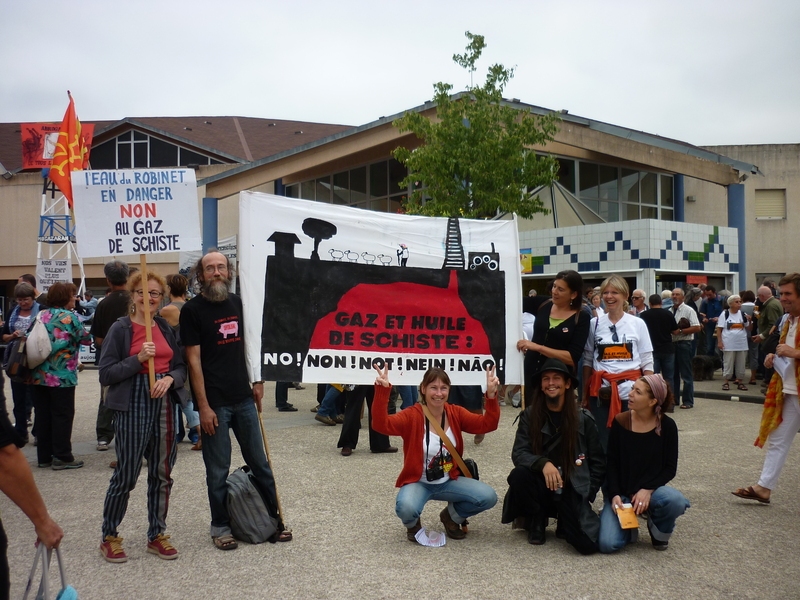 Three thousand protesters gathered in Saint-Christol-lez-Alès in the Gard, an area of the south of France that is directly targeted by oil companies in their push to obtain shale gas. French president François Hollande says that there will be no shale gas exploration or exploitation in France during his presidency and he has announced the rejection of seven applications that have been made for fracking permits. The announcement received a muted welcome, with militants pointing to the many permits still in place, and the large number of exploration applications that were not mentioned by Hollande. Euro-MP José Bové, who is at the forefront of the battle to prevent shale gas exploitation in France, said the president had, “without ambiguity”, closed the door to fracking. He has since added that there are numerous “ambiguous projects” that must be scrutinised. While the “code minier”, which governs mining activities in France, is being reformed, he said, there should be a moratorium on all projects that could lead to fracking. The reform recommendations are not expected to be ready until the end of 2013 at the earliest. Activists warn that multinationals may still find ways to exploit shale gas and could use other techniques that would not be subject to the current ban. There are still 60 exploration permits in place in France, and dozens of requests for exploration licences that could eventually lead to fracking. Mayors in the area around Alès in the south of France are battling to prevent the company Mouvoil bringing seismic thumper trucks into the region and starting exploration work. They are determined to block any attempts to exploit shale gas on their territory. Total, meanwhile, is appealing against the revoking last year of its Montélimar licence, which covers one million acres northeast of Montpellier. Shale gas fracking is highly dangerous for the environment and contaminates water supplies. It involves using a high-pressure blast of water, sand, and chemicals to create a shockwave to break open cracks deep in the earth and shift the gas into collection areas.